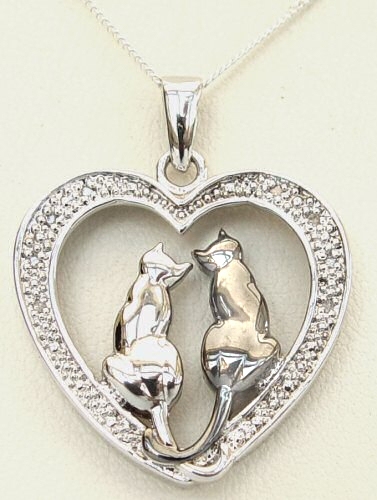 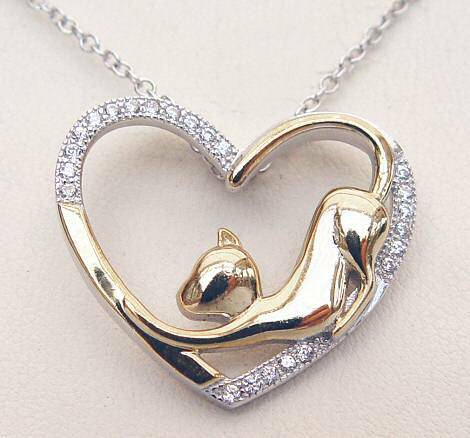 18 carat Gold plating over Sterling Silver, this necklace features a Cat sitting in a Crescent Moon reaching up and touching a Crystal Heart with its paw. 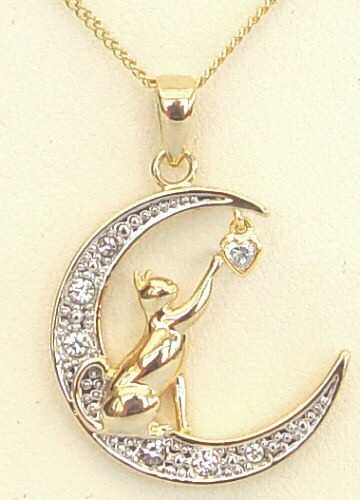 The Moon also features 6 Crystals around the Crescent. 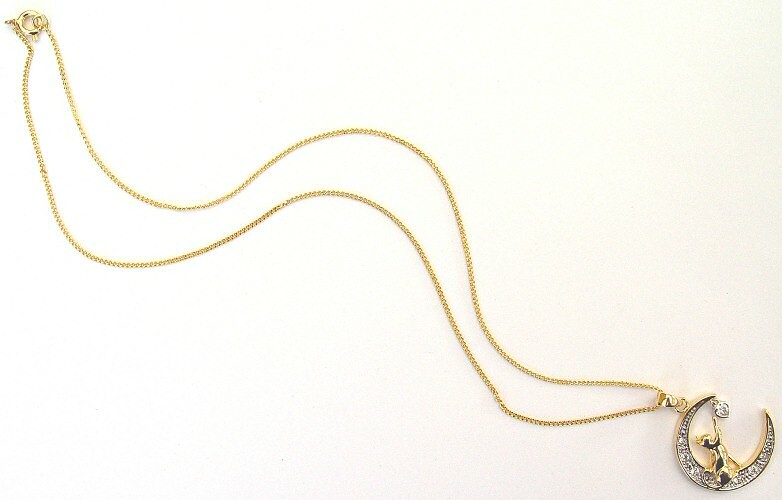 The whole drop is approximately 3.5cm. 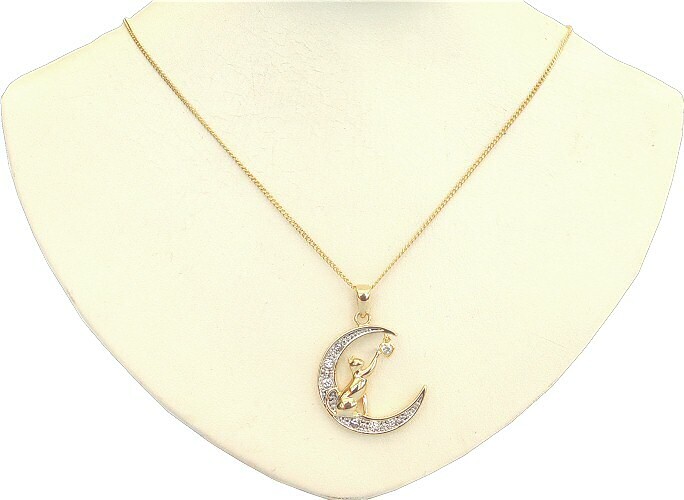 The chain is a 1mm, 18", 18 carat Gold plated flat Curb chain. 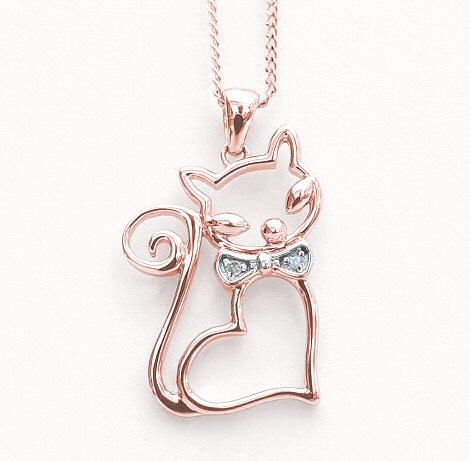 Sitting Pretty Kitty: a gold plated over sterling silver, silhouette cat necklace with crystals in it's tail, on an 18 inch gold plated curb chain. 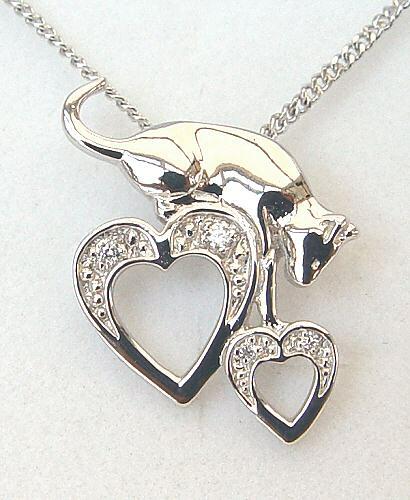 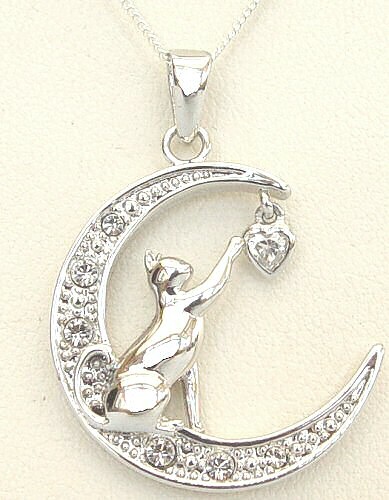 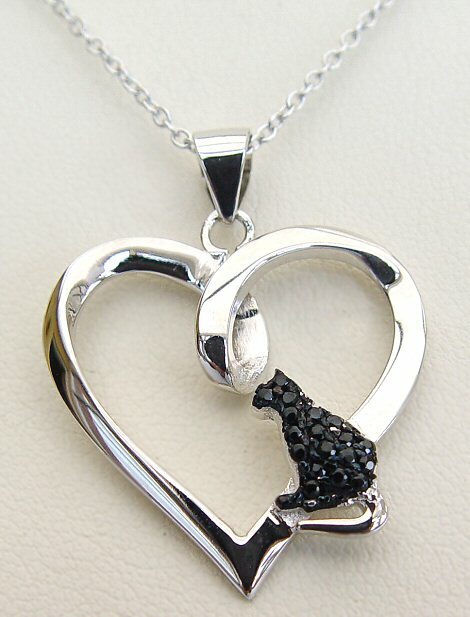 Short Description:- You Touch My Heart Necklace: 18 carat Gold plated cat sitting in a crescent moon reaching up and touching a crystal heart.